What does the world look like after the Others try to annihilate us? 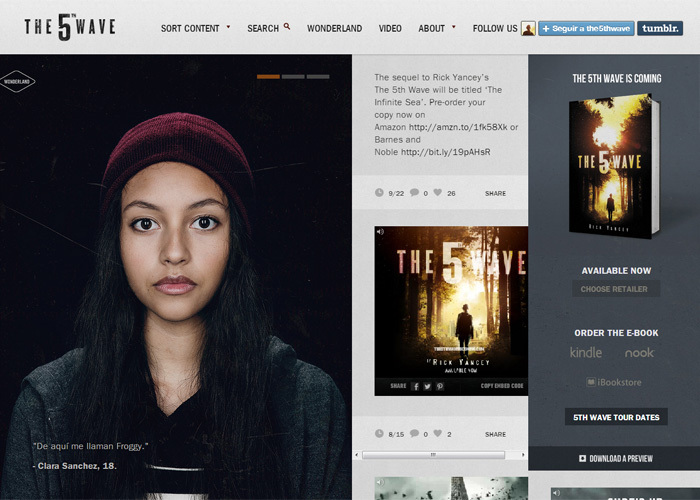 Explore this post-apocalyptic world through the eyes of young Cassie Sullivan in The 5th Wave is Coming. Read testimonials from individuals who survived the attacks, learn tips on how to survive in the wilderness, and examine the site's imagery to piece together what’s next for humankind.